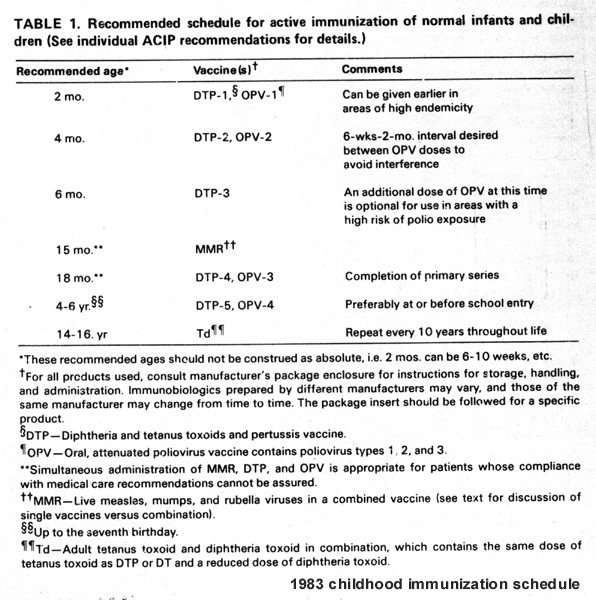 There was no discussion about institutionally acknowledged gaps in vaccine safety science 14 15 or the fact that most parents dutifully follow the advice of pediatricians and public health officials and only became vaccine safety critics after the risks of vaccination for their children turned out to be 100 percent.16 17 No discussion about the fact that since 2011, pharmaceutical companies have no liability for injuries and deaths caused by government recommended and mandated vaccines they sell in the U.S. 18 Instead, parents of vaccine injured children and others concerned about vaccine safety, who for decades have been asking government and industry to produce better quality vaccine science and more humane vaccine policies that respect genetic and biological diversity, were stereotyped as “anti-vaxxers” and demonized as a “threat” to public health. There was no discussion about why people are legitimately concerned about vaccine ingredients 19 and Pharma paying the Food and Drug Administration (FDA) to fast track new vaccines to licensure without adequate testing. 20 No discussion about the fact that doctors are giving children 69 doses of 16 vaccines starting on the day of birth 21 – three times as many vaccinations as they got in 1983 - 22 and cannot explain why so many highly vaccinated children in the U.S. are sicker, not healthier today: 1 child in 6 learning disabled 23 and 1 in 40 with autism 24 and millions more suffering with asthma, diabetes, severe allergies, epilepsy, cancer, schizophrenia, depression and other chronic disease marked by chronic inflammation in the body. The CDC states that, “90 percent of the $3.3 trillion in annual health care expenditures are for people with chronic and mental health conditions.” 25 The largely unexplained chronic disease and disability epidemic in the U.S. is bankrupting the U.S. health care system and there is no research being funded to investigate the role that ever increasing numbers of vaccines given to infants, children and adults may be playing. Today, the WHO is the world’s largest and most influential public health agency with an annual budget for 2018-2019 of $4421.5M ($4.4 billion). 55 About 20 percent ($956.9M) of the WHO budget is funded by assessments on member states and the remaining 80 percent funded by “voluntary contributions.” The biggest individual programs funded by WHO are for polio eradication vaccine campaigns ($903M); vaccine campaigns for other communicable diseases ($805M); and corporate services/enabling functions ($715.5M). Congress appropriated nearly $90B to the U.S. Department of Health and Human Services in 2018 and the biggest line item in the CDC’s $11B budget was the Vaccines for Children program (VFC) ($4.5B), which was created by Congress in 1993. 79 Under the VFC program, the federal government purchases CDC recommended vaccines from vaccine manufacturers to administer to children who are on Medicaid, are uninsured or whose health insurance plans do not fully cover CDC recommended vaccines. 80 81 Hundreds of millions of dollars are additionally allocated in the HHS budget for vaccination programs, including $700M for the National Center for Immunization and Respiratory Diseases. The National Institutes of Health (NIH) and other federal health agencies give millions of dollars in taxpayer dollars to academic institutions and vaccine manufacturers to improve vaccine technology, find new lucrative vaccine markets, and boost vaccine marketability. 93 The U.S. government also partners with the Gates Foundation to develop and promote vaccine use. Today, everybody knows somebody who was healthy, got vaccinated and was never healthy again. The people, whose lives are being impacted by business deals between governments, Big Pharma and Big Philanthropy, increasingly are being marginalized in the top down public policymaking process by wealthy and powerful institutions in society financing the global multi-billion dollar vaccine industry.118 This is evident when the people raise their voices to ask for better vaccine science and more humane public health policies and are demonized, discriminated against and punished by those in control of those wealthy and powerful institutions. 7 World Health Organization. Data and Statistics - Medical Errors and Health Care Related Adverse Events. 11 The Irish Times. Social media spreading ‘dangerous information’ about vaccines – report. The Irish Times Jan. 23, 2019. 12 Iacobucci G. Vaccination: “fake news” on social media may be harming UK uptake, report warns. BMJ 2019; 364. 13 Stratman J. Doctors react to WHO adding anti-vaccination to ’19 global health threats. 14 News (WFIE) Jan. 24, 2019. 79 U.S. Department of Health and Human Services. HHS FY2018 Budget in Brief – CDC. Office of Budget May 23, 2017. 90 Martens J, Seitz K. Philanthropic Power and Development: Who Shapes the Agenda? Global Policy Forum November 2015. 105 NewsGuard Technologies, Inc. Brill and Crovitz Announce Launch of NewsGuard to Fight Fake News. Mar. 5, 2018. 110 Publicis Groupe. Brill and Crovitz Announce Launch of NewsGuard to Fight Fake News. Global Newswire Mar. 3, 2018. 118 Storeng KT, deBengy Puyvalee A. Civil society participation in global public private partnerships for health. Health Policy and Planning 2018; 33(8): 928-936.